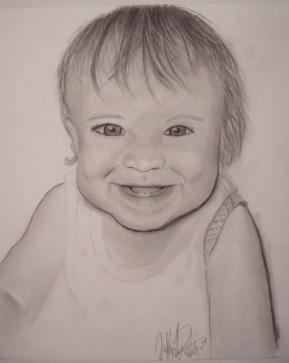 Use My Easy Drawing Lessons to Learn to Draw Faces, Animals, and More. Easy Drawing Lessons will Help to Teach You to Draw with More Confidence. Need to find something? Go to the site-map page and have a look. You're here because you would like to be able to draw people more realistically. "I can't even draw a stick figure." or "I would love to learn how to draw people that actually look like the people I'm trying to draw." After following my step by step drawing techniques you'll be a step closer to producing a more realistic drawing of a person rather than that of a mannequin. These easy to follow lessons cost you nothing. You can even get one-on-one help if you need it! If you're more of a video learner I may be able to produce a short custom lesson...just for you! Watch the video below for an introduction to my site. and wait until it loads up a bit before restarting). This work was my second piece after learning and using the methods I'll share with you. 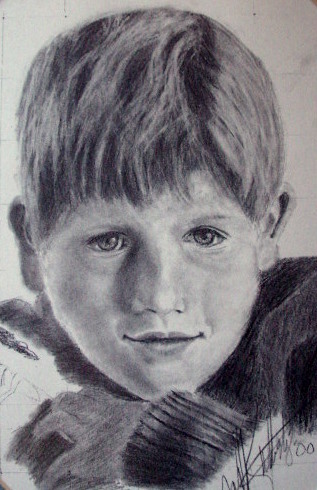 After following the same techniques that are discussed on this site, even young children have learned how to draw people, animals, still life, and cartoons. I've taught children of all ages and I've seen it first hand. When we're young, most of us start life out with a love for drawing! It's one of our first methods of self expression. Today young people want to learn how to draw anime and manga, and why shouldn't they be able to? Unfortunately, as many of us grow-up, something happens...the joy of drawing starts to fade away and die. Because of the fear of failure, we lose the desire to explore the art of drawing. Why should something as simple as learning how to draw be so scary? 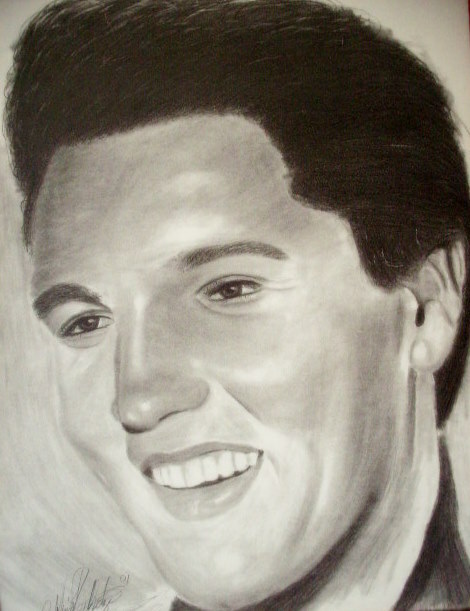 In fact, learning how to draw pencil portraits is easier than you might think. After taking some time to browse through my online lessons, you'll want to run to your local art supply store so that you can get started right away on your artistic journey. Worried about how expensive drawing supplies might be? Just follow these on-line drawing lessons and you'll be creating realistic portraits of pets, wildlife, or landscapes in no time. Make some extra money with your new drawing skills. You can use the same methods that I use to make a little extra spending cash. 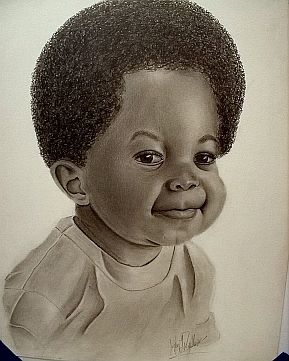 There is nothing like having someone gush over a realistic portrait of their children that you created... and get paid for it. If your goal is to become a painter, the skill of drawing an accurate outline will be fundamental in the production of the painting. Please don't worry if you get frustrated. I'm available to help... Honestly, just ask. Fill out the contact form and I'll get back with you soon with an answer to your drawing questions. Just give yourself a chance and I'll show you how easy it is to learn to draw. Let me know what you think of my site, or send me a question. Put down your thoughts below. To comply with Federal Law, you must have a parent post your comment if you are younger than 13 years old. You can help to keep this site online by making a small contribution. Amazon affiliate disclosure: Jeff Rutledge is a participant in the Amazon Services LLC Associates Program, an affiliate advertising program designed to provide a means for sites to earn advertising fees by advertising and linking to amazon.com.